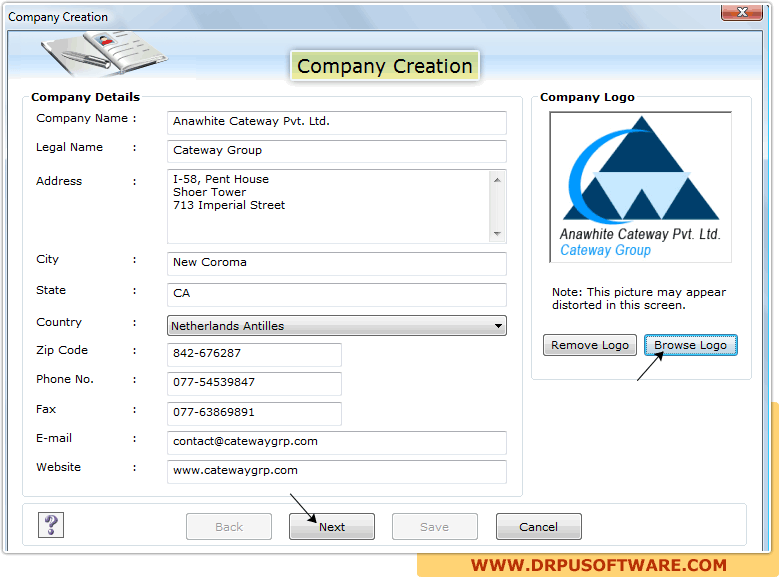 Enter the company details then click on “Browse Logo” button to add logo of your company. Click on “Next” button for next step. 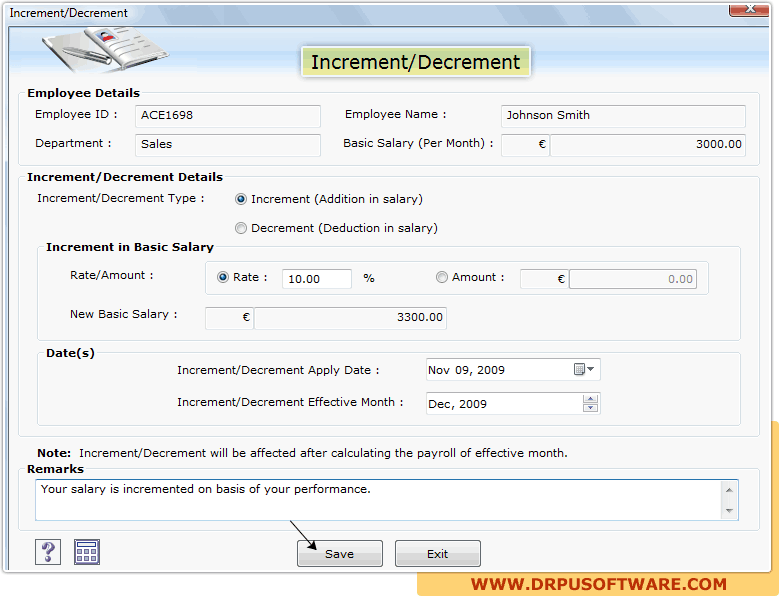 Fill “Employee Details” with employee salary increment and decrement details accordingly then click on “Save” button to save the record.